A young boy watches over the family Toyota in a village in Yemen’s countryside… Of course, in a country where almost everyone knows how to use weapons, children with AK-47s are a common sight. 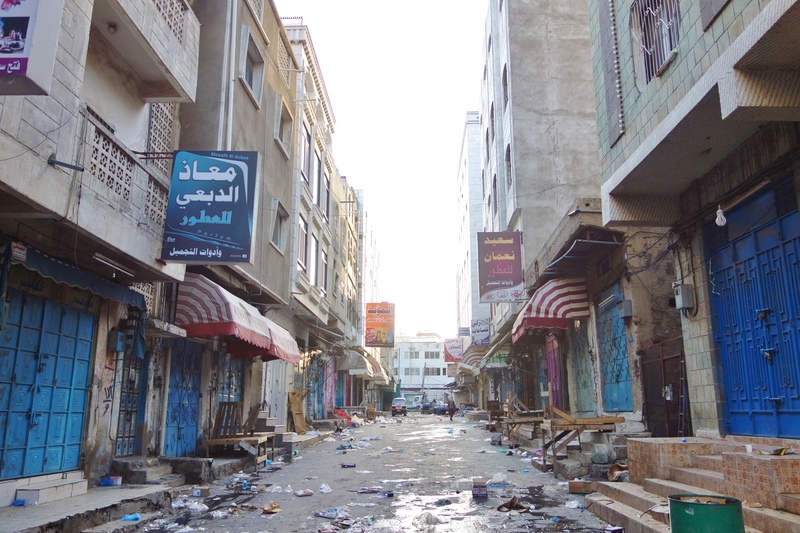 Although largely out of the headlines now, Yemen continues to be battered by a conflict initiated in 2014 when Shiite Houthi rebels formed an alliance with loyalists of ousted President Ali Abdullah Saleh to seize large swaths of the country, including the capital Sana’a, from the internationally recognized government headed by President Abd-Rabbu Mansour Hadi. Since then, the United Nations conservatively estimates that at least 10,000 people have been killed and 2,800,000 driven from their homes by fighting across the country. Regrettably for Yemen, this conflict has evolved into another example of the Shiite versus Sunni proxy wars between Iran and Saudi Arabia. And just as with the other proxy wars grinding along between these two great powers of the Middle East, this one has also become directionless and inconclusive. Neither side is powerful enough to defeat the other. Thus, Yemen finds itself trapped in a classic stalemate. That is not to say, however, that the killing has stopped. Far from it. The proxy nature of the war has made certain the participation of a broad range of countries and irregular forces – all interested in prolonging this conflict. The primary actors are Saudi Arabia (overtly) and Iran (covertly). However, Saudi Arabia is backed by the United Arab Emirates, Sudan, Senegal, Qatar, Bahrain, Kuwait, Jordan, Morocco, Turkey, the United States, Great Britain and France. And Iran is supported, of course, by its known proxies, such as Hezbollah, but also reportedly by Russia and North Korea as well. Further adding to the already diverse mix of combatants, the United Arab Emirates has sent hundreds of Colombian mercenaries, allegedly commanded by Australian mercenaries, into the fighting. These mercenaries sent from the UAE to Yemen are fighting alongside other mercenaries that the Saudis are said to have recruited primarily from Sudan, Eritrea and Morocco. Also among the mercenaries are reportedly American, British, French and Australian nationals that are deployed inside Yemen with regular troops from Saudi Arabia, Qatar, Bahrain and the UAE. Into this maelstrom are added extremist Sunni militants connected to al Qaeda and Islamic State who have been dispatched, primarily from Syria and Iraq, to expand their influence in the power vacuum that has emerged in Yemen. The above simply outlines the outside interests fighting in Yemen. 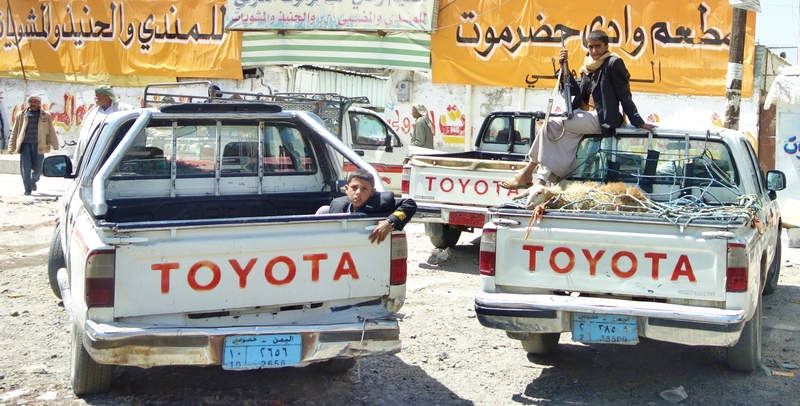 However, among the Yemenis themselves, we find another layer of complexity added by myriad tribes, minority ethnic groups, politicians and aspiring warlords also vying for power. Although it may sound as if the battle lines are clear cut and the loyalties of each side are firmly established, the reality on the ground, as in most such cases, is not so simple. With so many competing interests in Yemen, loyalties can be quite fluid and can shift quickly. Enemies can abruptly become allies and then just as quickly revert back to being enemies again. For example, al-Qaeda militants have been observed fighting in the besieged Yemeni city of Taiz alongside the Saudi-led coalition against the Houthi rebels. 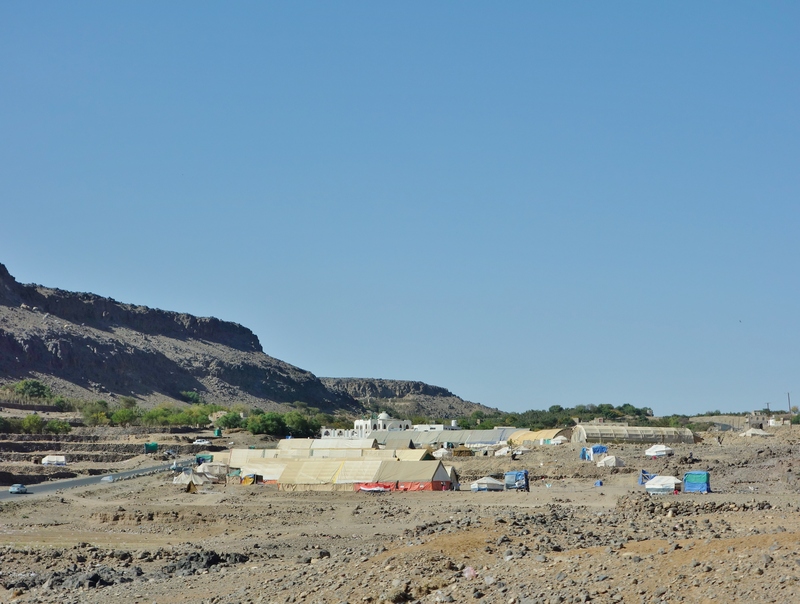 However, on the Aden battlefield these same allies are bitter enemies, with the Saudi and pro-Hadi government forces being frequent targets of suicide bombers and al-Qaeda and Islamic State forces being frequent targets of coalition airstrikes. 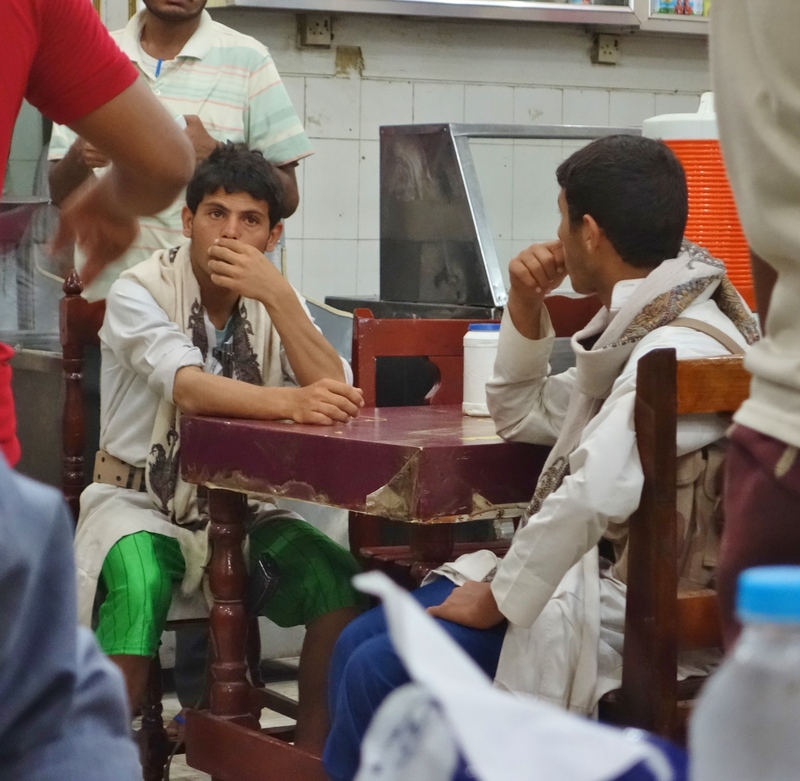 This writer observed this dynamic in person while driving across Yemen. 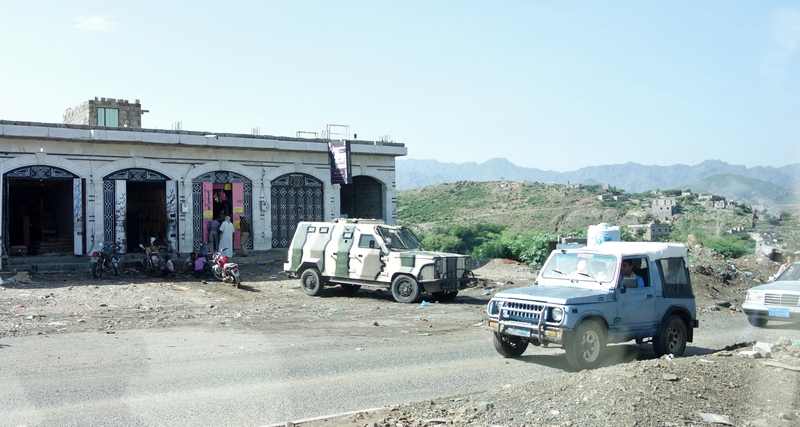 Checkpoints are ubiquitous in Yemen and yet when pulling up to them, one rarely knows whom they will be encountering. 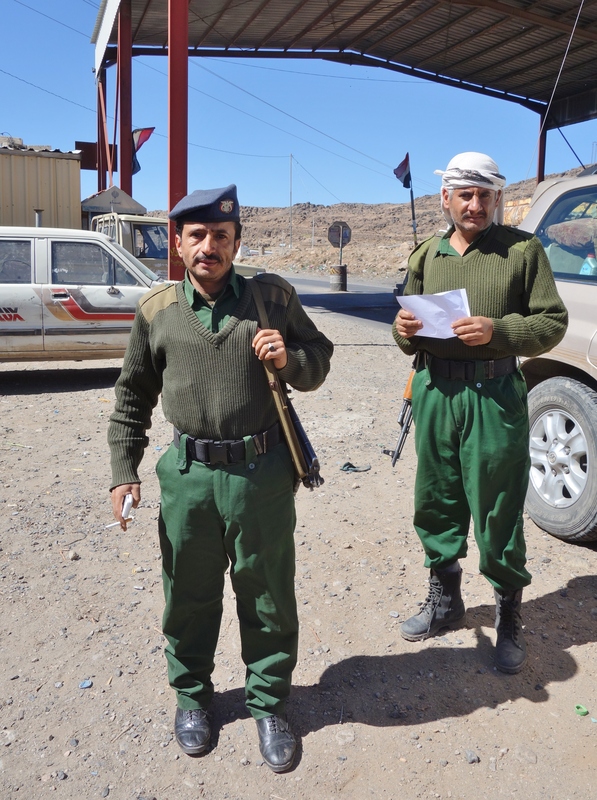 The fighters manning the checkpoint could be government forces out of their uniforms, they could be Houthi rebels or they could be Islamic State militants wearing the uniforms of the government soldiers. One never knows because whatever was true an hour ago may be completely changed now. 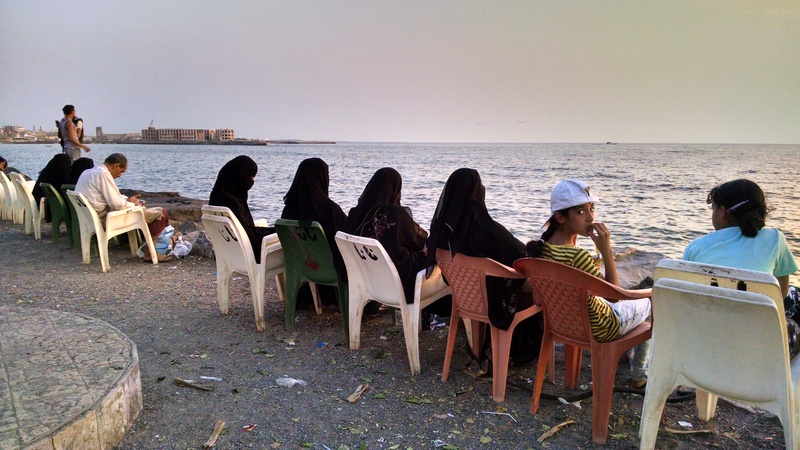 For the average Yemeni, they just try to get on with their lives and get by as best they can. Very few of them have a stake in this conflict or want anything to do with it. 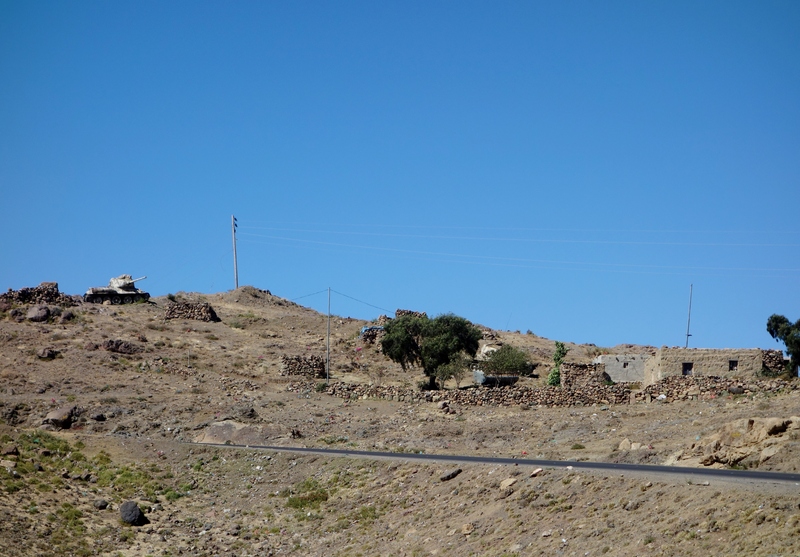 Tanks protect a hilltop outpost of soldiers loyal to the internationally recognized government of Yemen… The men we spoke with here seemed bewildered by the complexity of the fighting swirling around them. 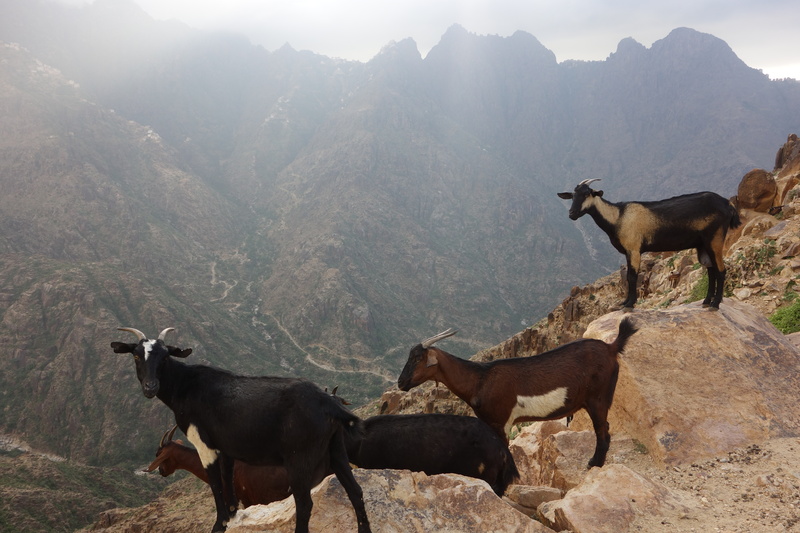 The mountains of Yemen… As a local goat herder in this remote region explained to us, many Yemenis care little about the outcome of the war. They just want to be left alone. 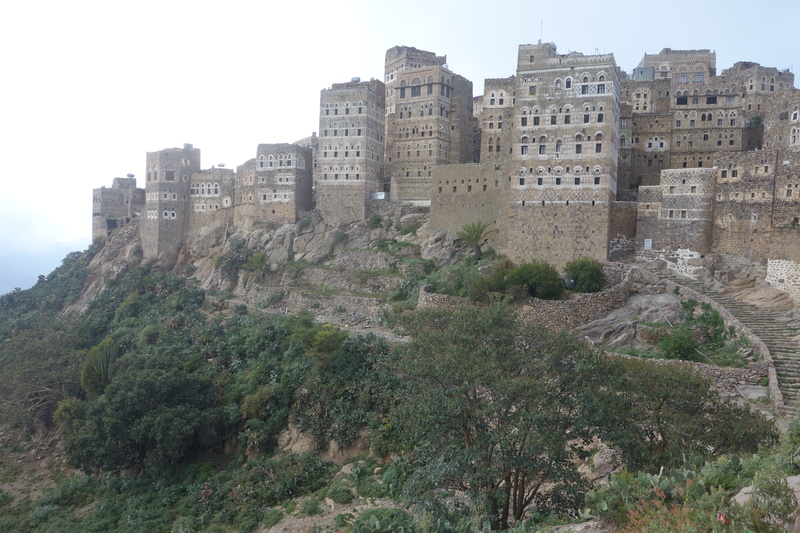 The town of Al Hajara high in the mountains of Yemen… The war can seem far away from such places, however, this town depends on visitors to sustain it and we were the first visitors in months. Tags: Eleonora Giuliani, Il Giornale, Iran, Justin Ames, Proxy War, Saudi Arabia, Yemen. Bookmark the permalink. Hi, love the content of your site. Though, when posting a translated artice, it would be nice of you to clearly state the name of the original author. Cheers. Thank you. I’m glad you like the site… Unless stated otherwise, as with the contributions from Bernie and Sarakshi, for example, I am the author for all of the content on this site. This article published in the Italian newspaper is a translated version of my original.